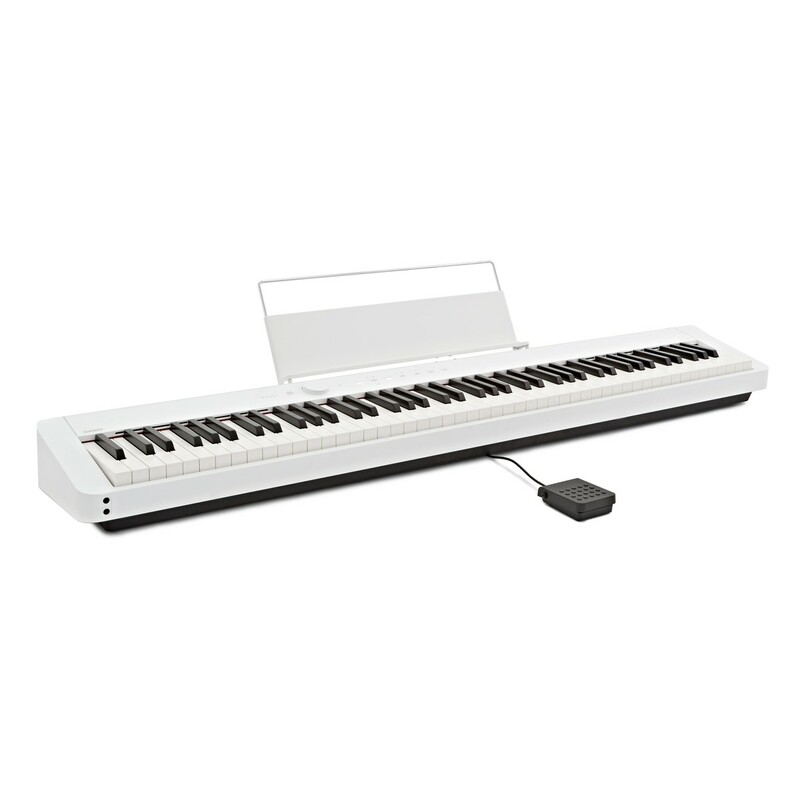 While the all-new battery power function allows you to take your piano, wherever you go. Play anywhere with the PX S1000. Connect to App Chordana app to capture music. The app detects your music and generates a music score and a piano roll notation, with incredible visual aid. Slow the tempo, transpose the score, and play at your own pace with the lessons function. 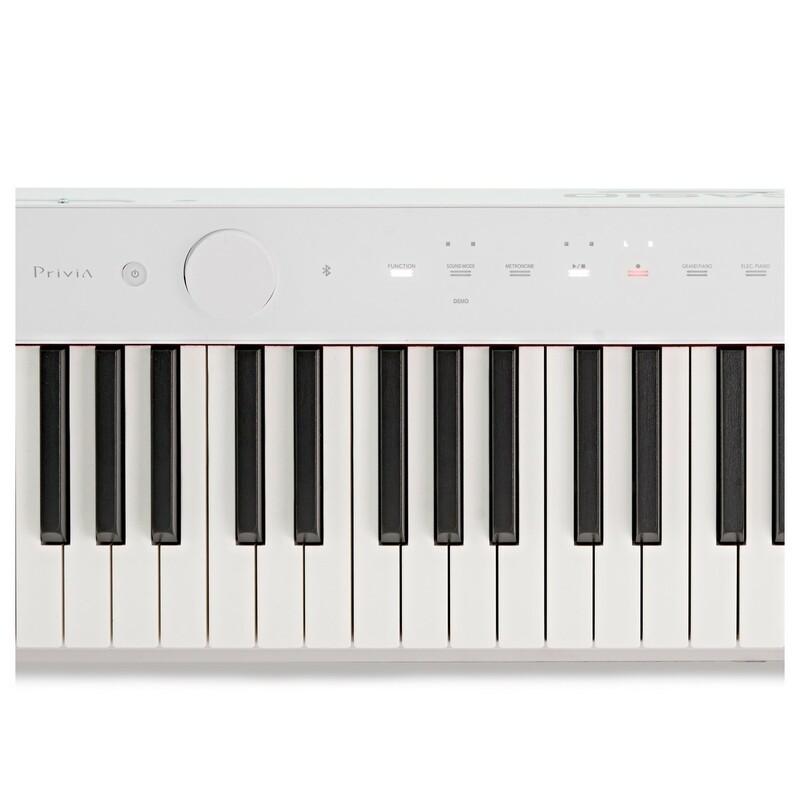 Following a 15-year legacy of the iconic Privia digital piano series. Casio is proud to release the all-new PX S-1000. 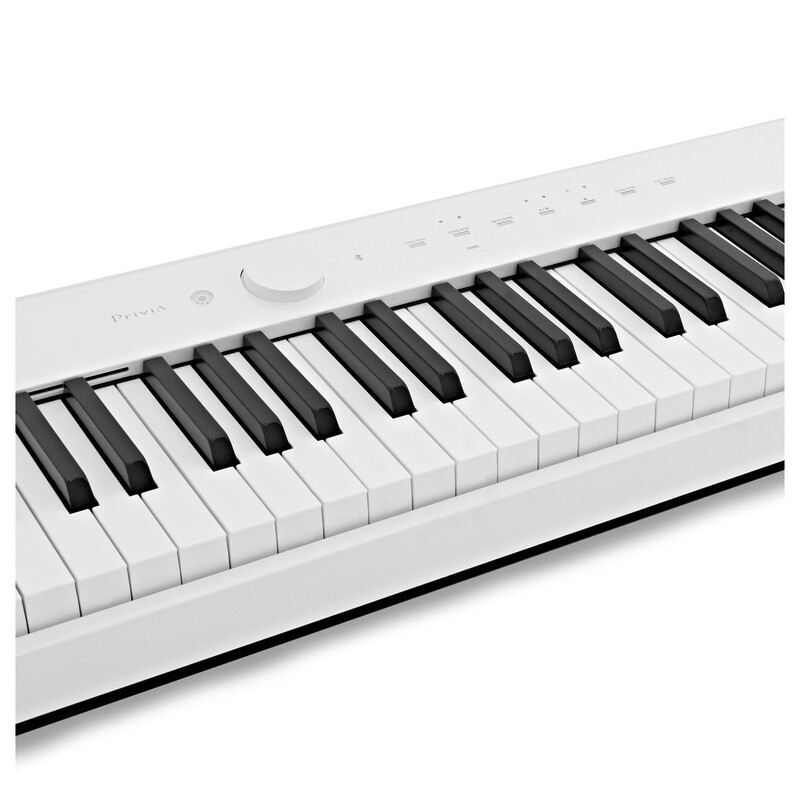 The worlds slimmest digital piano. Carefully made with all new incredible features. The PX-S1000 is beautifully made to complement all modern living spaces. 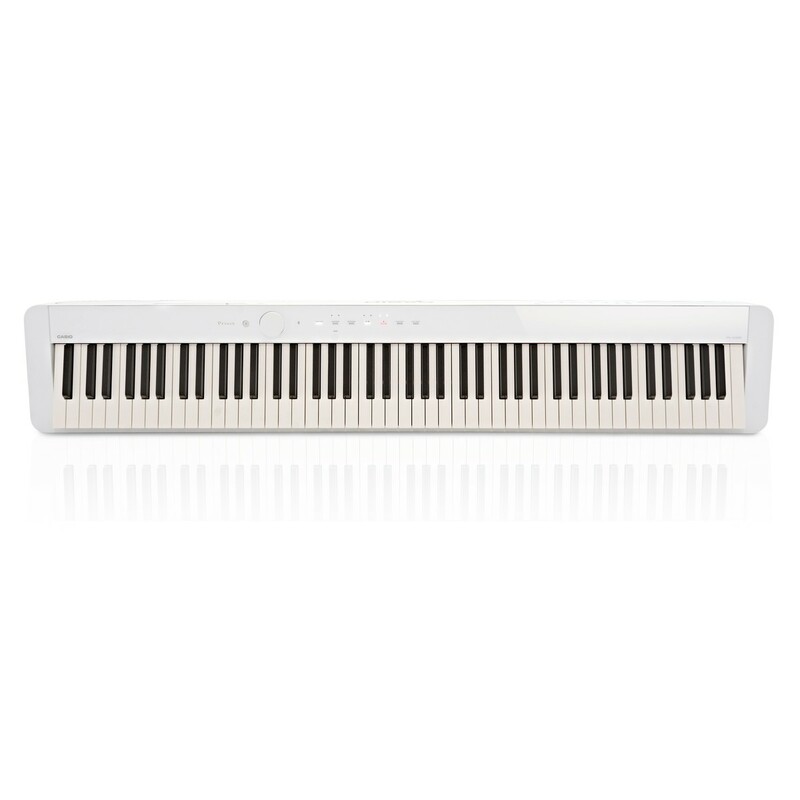 With the most portable design, you can take your digital piano where you go. Easy to be placed in small spaces. In the home or studio. The PX-S1000 is faithfully designed to house the full range of 88 weighted keys. Finished with ebony and ivory textured keys. The PX-S1000 is carefully made to give you the most authentic playing experience. Simple and straightforward. The PX-S1000 is carefully made with a user-friendly control panel, so you can easily access all its features, both swiftly and effectively while you perform. Fitted with a unique active touch panel display. The panel display allows you to see your controls come to light in one touch. You can manage song recording, metronome and other features with the on-screen menu. And when not in use, the panel goes dark, so you on focus on performing without any visual distractions. Indulge in the incredible depth of resonance with Casio’ very own damper pedal. Reproduce the robust nature of the acoustic grand piano, with the stereo resonance simulator installed on all 88 keys. Emulate the fuller sound of the strings created by lifting the damper pedal. Continue to play the keys, striking a lower note and you will hear the other keys resonate in sympathy. 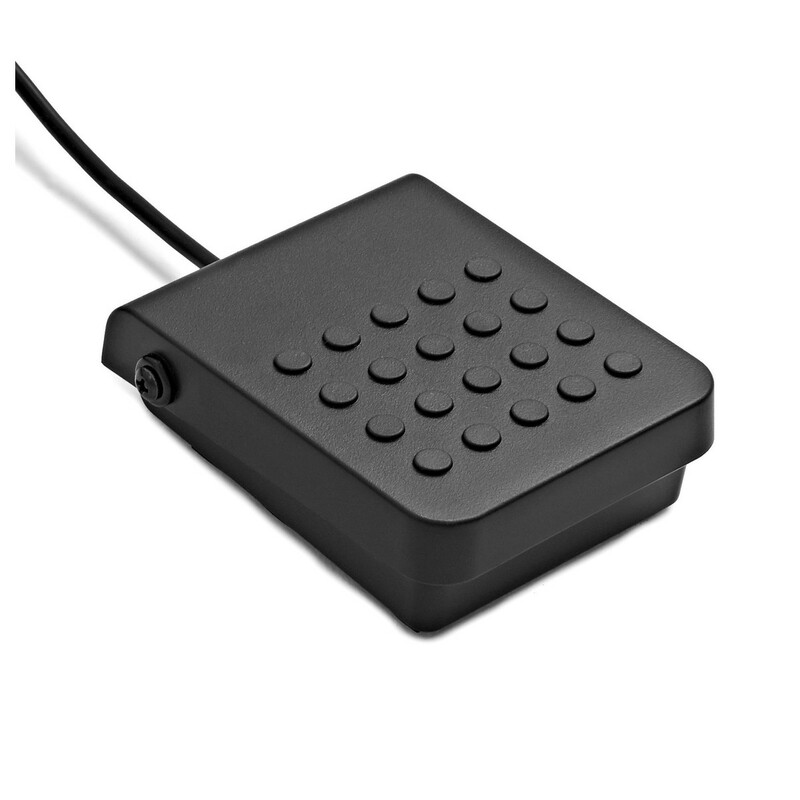 Achieve a gracefully expressive performance with the damper pedal. 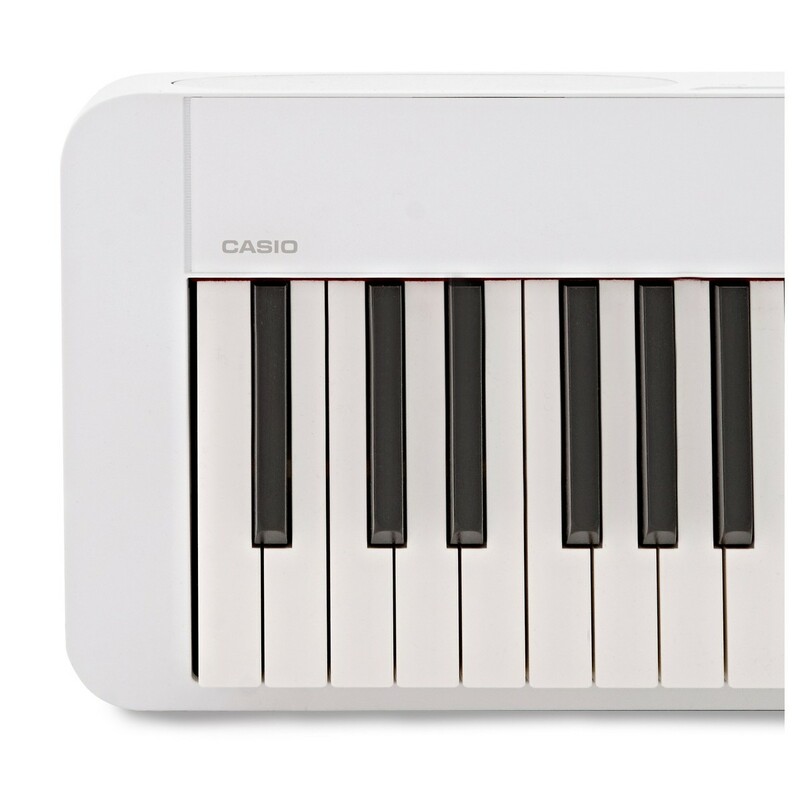 Casio introduces a new approach to reproducing the string resonance effect, with the multi-dimensional Morphing AiR Sound Source. Incorporating the new string resonance system, the PX-S1000 is able to reproduce the authentic sound of reverberating strings. The intuitive system distinguishes individual tones while you play. And reproduces the most authentic variations in resonance according to the individual notes you have played. So you can deliver the most unique expressions, with absolute depth and tonal strength. Chordana allows you to connect to your smartphone/device to make learning the piano fun. You can play over 100 famous classical pieces or add your own MIDI files. The app will generate a music score from a MIDI file and then track chords and help you learn two-handed piano pieces. 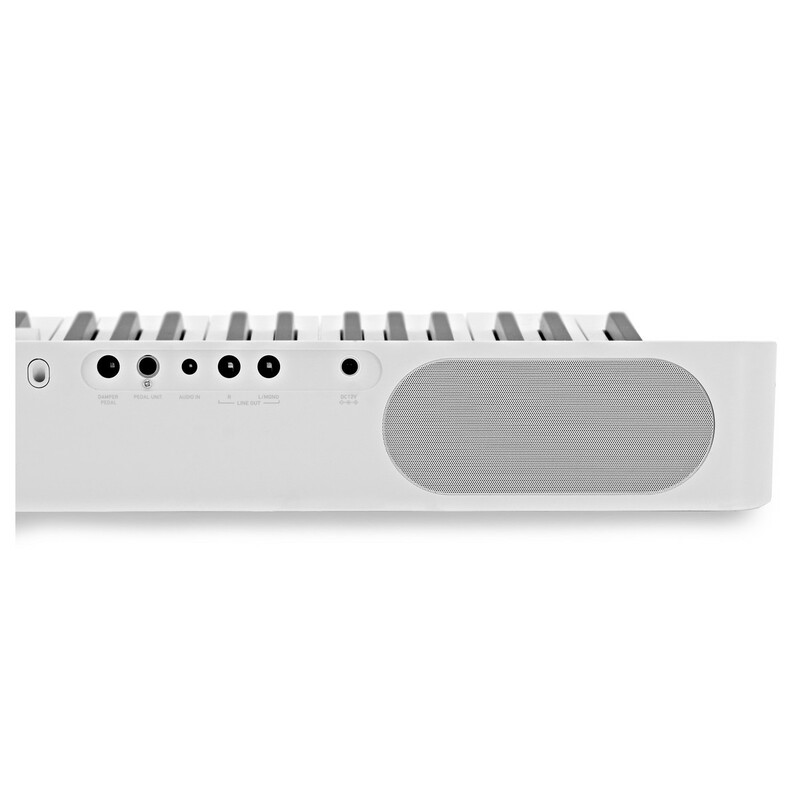 Connect your PX-S1000 to any device via Bluetooth, so you can stream music through the piano's speakers and use your smart device as a remote controller and PDF music viewer.